Monogrammed quilted tribal pattern duffel bag in black with turquoise, white and red. Sporting a trendy and popular pattern, that will make an impressive fashion statement. Comfortable over the shoulder handles with removable accent bows, inside gingham check lining, outside and inside zipper pocket with a zip closure. This duffle is perfect for a ladies day out or weekend travels. The stitched quilted pattern and large fun bows give it a totally feminine look. NOTE... EMBROIDERY WILL BE PLACED ON THE POCKET SIDE OF THE BAG. Monogrammed quilted cotton duffle measures 21" x 10" x 11". Sturdy supported bottom, inside open zip wall pocket. Footed bottom, zipper closure. Front trim and detachable bows. Great product, fast production & delivery! I ordered this bag on a Saturday night, and my item shipped that Monday! 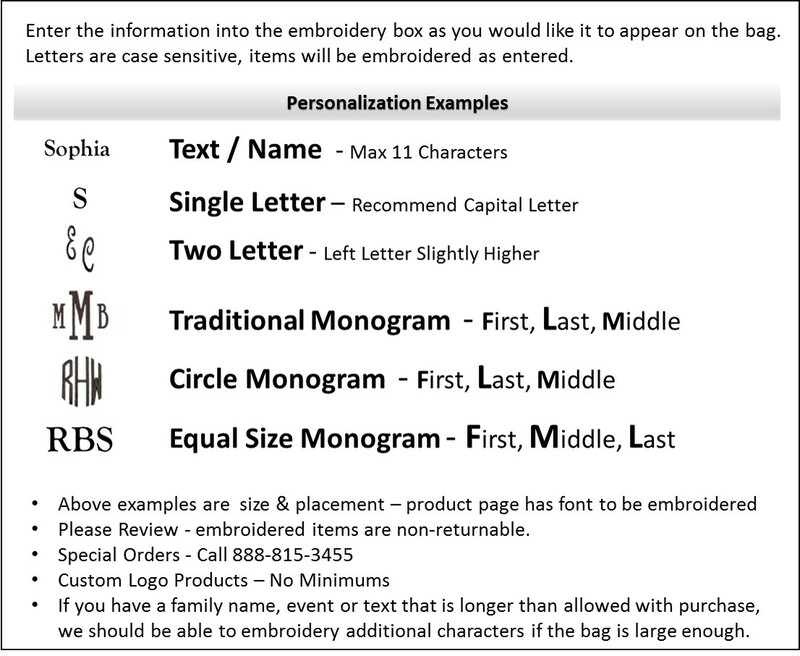 I have never had anything monogrammed made that quickly. I get many compliments on my bag. I am extremely pleased!